Bed time, you and I have not always seen eye to eye but I finally feel like I am getting somewhere when it comes to looking after myself to ensure I get a better nights sleep. I now know to listen to my body and mind when it's telling me it needs a break. Now that Christmas is over, I don't think I am alone in saying that I would like Winter to hurry up and to start welcoming spring so that I can enjoy the sunshine and warmth again. The dull, cold winter days and dark early evenings can be tempting to forget my whole self care routine, jump straight in to my pyjamas and binge watch Netflix all evening in bed. 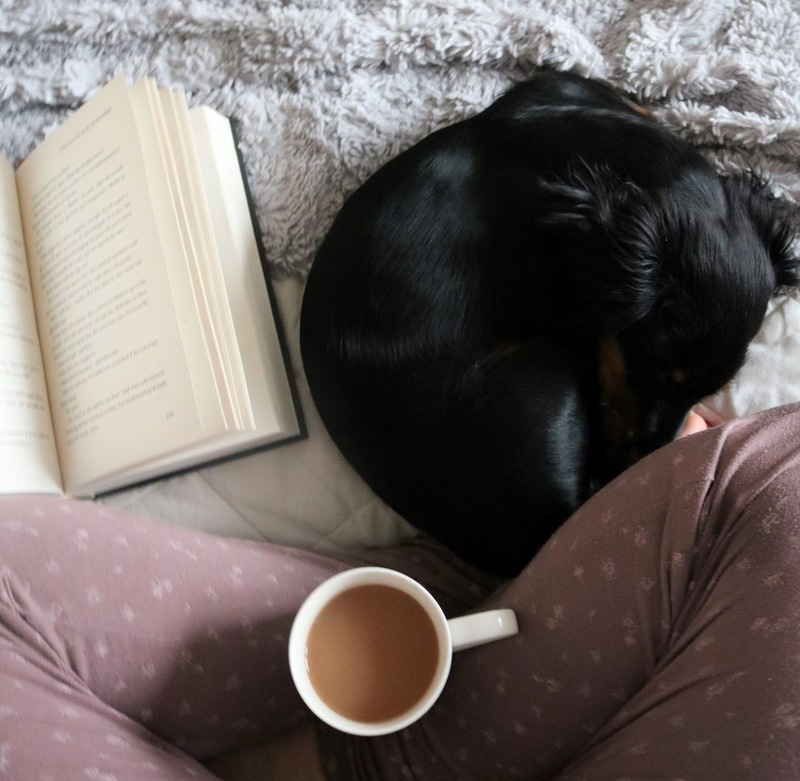 Sometimes this is perfect but most of the time I need my time to be spent reading rather than watching, sipping herbal tea rather than eating and sleeping rather than thinking. 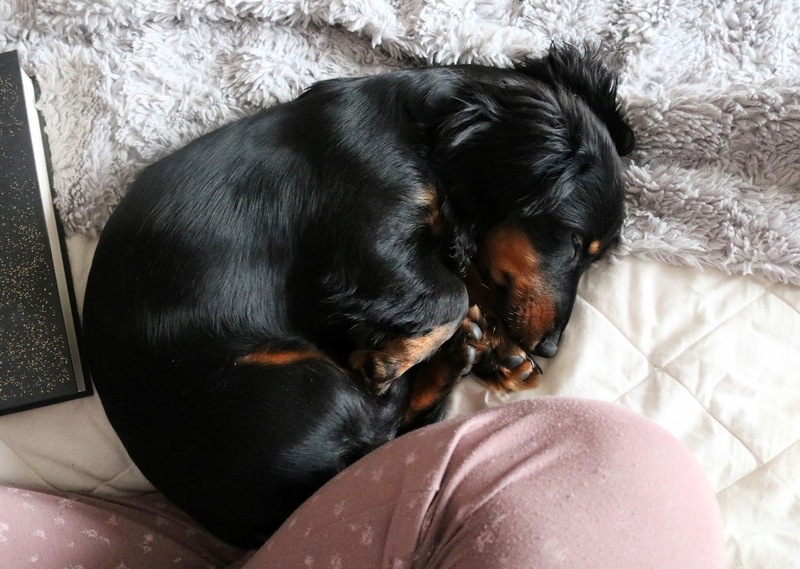 So, as we still have a little of winter left, I thought I would share my favourite tips and tricks for a better nights sleep and my night time self care routine, especially for this time of year. The most important part of my night time self care routine and something I don't do enough of is winding down. The amount of evenings I spend pinning ideas on Pinterest, binge watching Peaky Blinders and scrolling through social media to then wondering why I can't sleep is beyond me. Though, the answer is SO obvious. I need that time for my mind to wind down before expecting it just shut off before I go to sleep. In order to do this, I have been turning off the TV (if it was up to me, there wouldn't be a TV in the bedroom!) placing my phone on silent across the room and do things like read a book in low light if I'm not quite tired and it's really helped. Something I need to do more of is pampering myself before I go to sleep. I find that I sleep so well after a hot, Lavender infused bubble bath and then I get all cosy in clean fresh bedding. An evening pamper routine could be as simple as face-masking, moisturising or just cleansing and toning. I find going to sleep after I have cleansed and pampered makes all the difference. 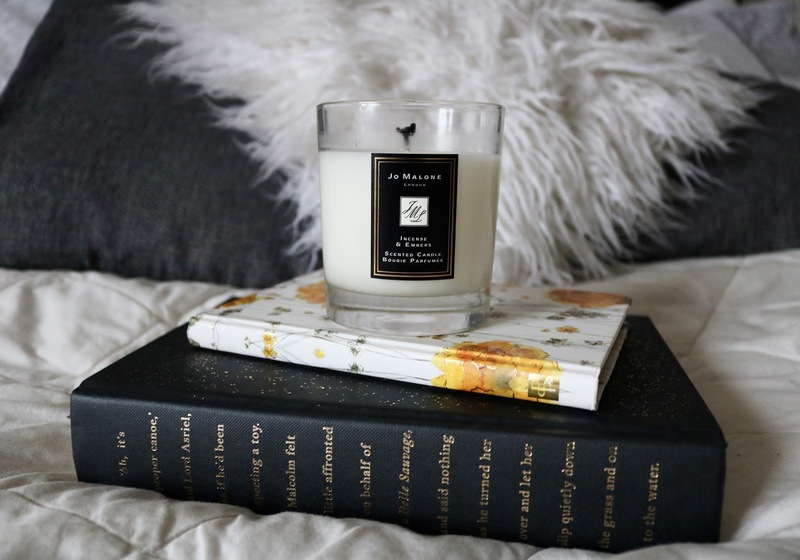 I have recently started working at a Spa part time as an office administrator and have come across some lovely products that I have splurged on to include in my night time pamper routine. 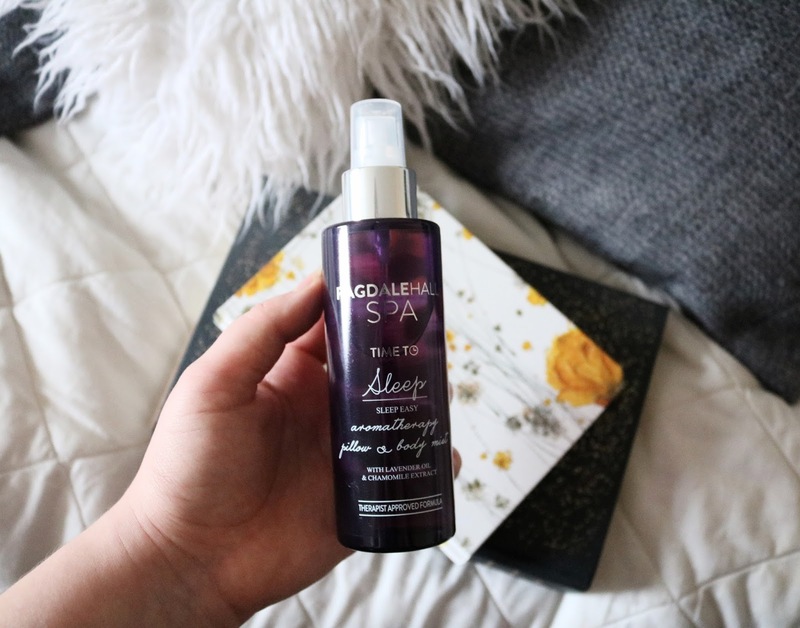 One of which is the Ragdale Hall Spa Time to Sleep mist which reminds me so much of the This Works Pillow Spray as it's Lavender and Chamomile scented but a fraction of the price at just £5.00. You can buy yourself some from the Hall itself or Marks and Spencer. I am finding that I use it more than I did the This Works version due to the price which makes it a lot more effective. If you're anything like me, ideas and thoughts pop into your head when you are trying to switch off and get some much needed Zzzzz's. There is nothing more annoying than having a genius idea the night before but finding that you didn't document it because you didn't want to tempt yourself by putting them in your phone. So, I tend to write my ideas down in a notepad I keep on my bedside table and have easy access to a low lit lamp. Much better for keeping your brain switched off. 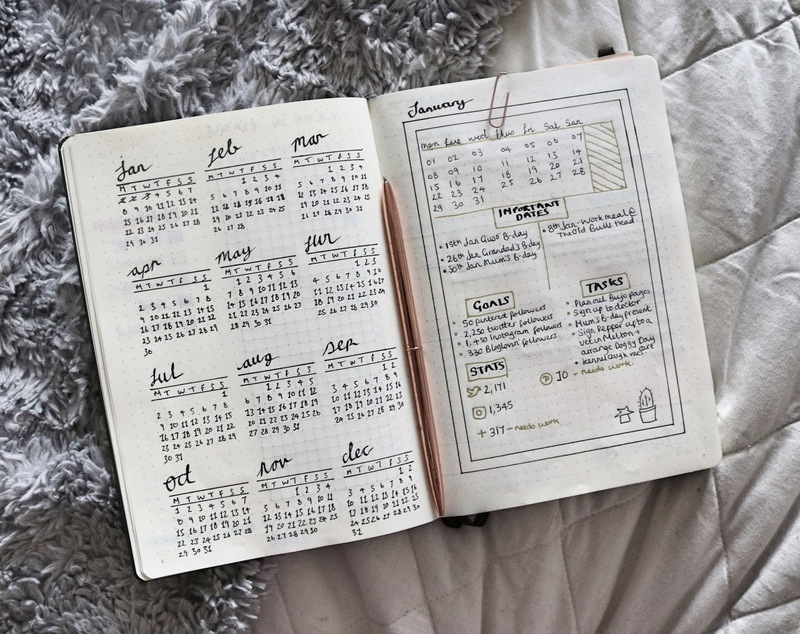 I have also recently started a Bullet Journal where I write down all of my tasks for the next day so that I don't go to bed thinking that I need to remember something as it's all written down. For me, fresh bedding is a must and I notice the difference in my sleep when the bedding isn't clean. After time, the sheets get baggy and the bed feels clammy which I can't stop thinking about when I am trying to get comfortable. And as much as I love my cushions, they really are just for show so they get thrown off the bed so that there is more space to wriggle around in during the night. I also love to burn a candle before bed which keeps the light low and gives a cosy atmosphere. My favourite at the minute is the Yankee Candle All Is Bright. I know it's a Christmas themed candle but we are still in winter and it's got quite a fresh smell to it. This may sound obvious but ensuring you have the time you need to sleep is so important. There have been many mornings where I have got around 5-6 hours of disturbed sleep and have woken up feeling so groggy with a headache. Not a good idea for my self care or for anyone I come across that morning for that matter. The issue is I am a night owl and most definitely not a morning person. So, I ensure that I will have enough time for a solid 7-8 hours sleep and then I feel much better the following day. My surroundings also play a big part on whether I get a good night sleep or not. If I go to sleep with a messy bedroom I am a lot more likely to wake up through the night. A tidy room really does equal to a tidy mind. What do you do to wind down? Do you have a favourite evening ritual? I am terrible with putting my phone down before bed, it's now a rule in the house that screen time stops during the week at 9.30pm! So if I am still awake, I grab a book and it has really helped this past week. I really need to work on doing the whole sleep thing better - I have royally failed at this a lot recently! I think we all lose sight of how important sleep is sometimes! I do it a lot too! And then I get engrossed in it so end up staying up even later. New rule in the house is to switch screens off in the week at 9.30pm! This is so useful, I've been struggling to sleep properly at night for a long time and then I end up sleeping in really late the next morning! I'm going to try some of these ideas to help me sleep better. I treat myself and do this at the weekend right now, just whilst my body adjusts to the early starts in the week but I am training my body to be more of an early person! I'm glad you found the post useful, let me know how you get on! I bet you will! Hope it all goes well for you. "fresh bedding is a must and I notice the difference in my sleep when the bedding isn't clean. After time, the sheets get baggy and the bed feels clammy which I can't stop thinking about when I am trying to get comfortable." Unclean bedding is the worst isn't it?! Love snuggling up in fresh sheets, always guarantee a good nights sleep. I'm trying so hard to become better with my self care, these tips are so handy!.